Grown up bottle on the left. The Tinkerbelle Troop edition on the right. The sound of silence has enveloped Rashland over the past few weeks. The day gig along with an electronic episode is taking up a lot of my time at the moment. Actually, all of my time. The episode is more exciting, so let’s dive into that shall we? I had (note the use of the past tense here) a mid-2010 MacBook Pro. It worked like a charm until I upgraded to Mountain Lion. Due to to a faulty Nvidia GPU (emphasis mine) I had kernel panics with the new system – 2-3 times…in 30 minutes And of course, all of this happened after the free repair window had closed. The non-covered repair would have cost more than what the 2010 laptop was worth. So as of tonight, I have a new MacBook Pro. With a retina display. I have no idea why I have a retina display but perhaps the ghost of Steve Jobs past can drop a few hints. And I’m fighting the urge to set up a Kickstarter. Yep. It’s that real. In any case, as I get my digital life back in order, here’s what has caught my eye over the past few weeks. 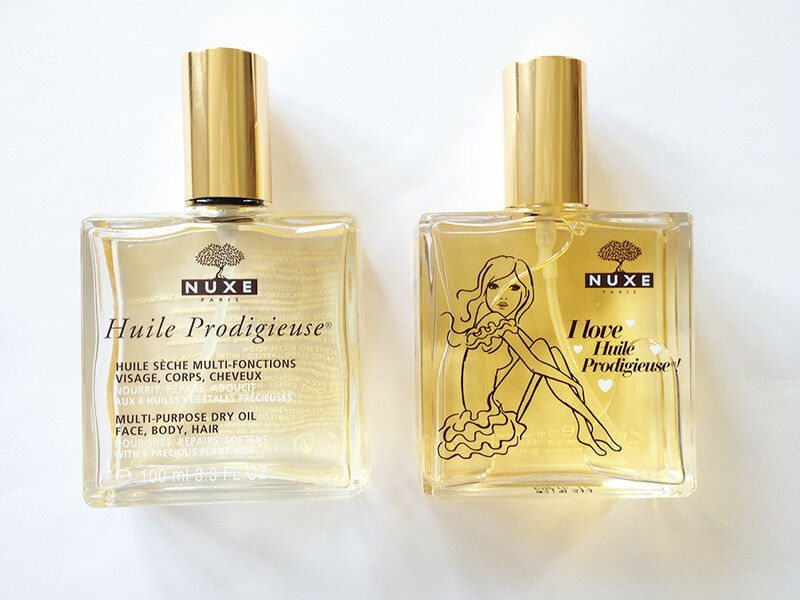 I love Nuxe’s Huile Prodigieuse. I could live without the pre-teen special edition bottle currently in stores though. See pic above. Join my FB page. Who knows, I may do a pink leggings giveaway over there. Or something. You may even find some of my selfies there. You know you like them. I do. A bit. The “Why the f*ck” method explained. The latest issue of The Gentlewoman arrived in my mailbox Friday. Cheers and toodle pip. Nichelle Nichols has an online store. My birthday is in February. 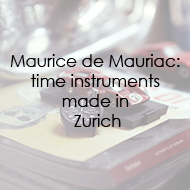 You have time. This is Essie “Stylenomics.” I applied on Sunday (with base and top coats). Today is Wednesday. And I think it goes well with my skin color, don’t you? After my gray-hair post, a couple of folks asked about my hair care routine. Save for a few months in 2008 in which I lost my mind, I’ve been natural for about 12 years now this time around. And I’ve tried tons of products. Most have left my hair either dry, greasy and dry (yes it can happen) or greasy and dry with the light scent of Tinkerbell perfume rubbed on a sheet of Bounce. And a goat dancing nearby. 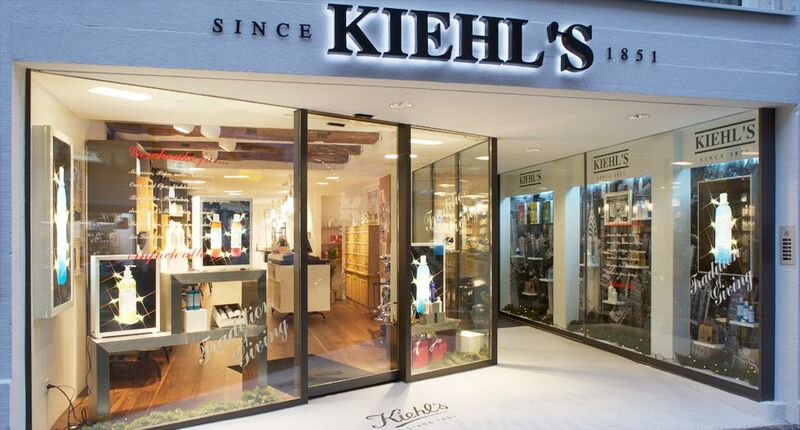 Only one line has worked: Kiehl’s. I use their products religiously on my hair and face. 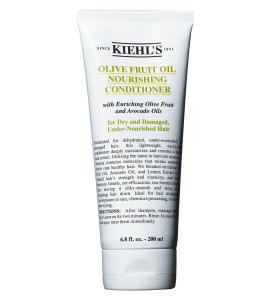 Granted, Kiehl’s expensive, but my hair seems to like it. And when my follicles are happy, everybody’s happy. Also, my hair has turned yellow when I’ve used other products. Kiehl’s is the only line that hasn’t discolored my hair. This is another reason why I’m loyal. Here goes and remember, your mileage may vary. Note: I neither comb nor brush my hair. I use my fingers to wash, condition and style. I haven’t turned into Bob Marley yet. Not that that would be a bad thing. 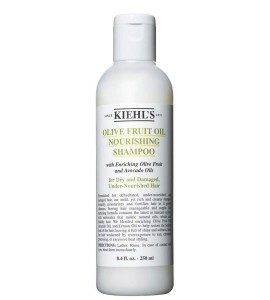 Kiehl’s Olive Oil Shampoo and Conditioner: I wash my hair once a week. 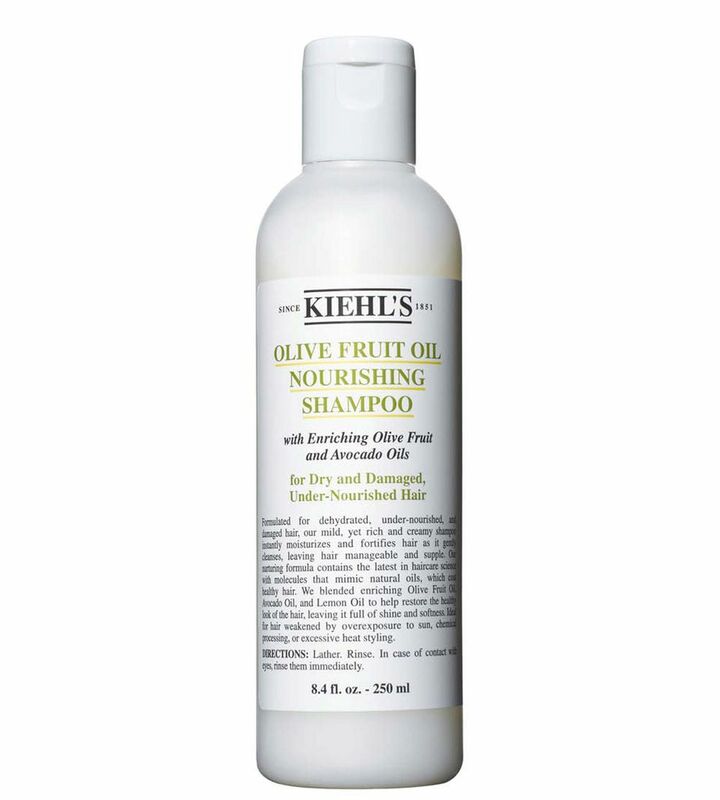 I shampoo twice a session with the Olive Fruit Oil Nourishing Shampoo. Then I apply the Olive Fruit Oil Nourishing Conditioner and let it set for two minutes. Both products are great for my dry, frizzy hair. Cold water rinse: I rinse the conditioner out with hot water, then follow with cold water. Apparently doing the latter lessens the chance of frizzing. I’ve seen a big, big difference. Paper towels: I dry my hair with paper towels, not normal terry cloth towels. Terry cloth can frizz afro hair. I simply blot (not rub) with the paper towels. 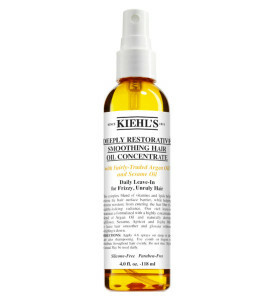 Moisturize: I spritz my wet hair with Kiehl’s Deeply Restorative Smoothing Hair Oil Concentrate. 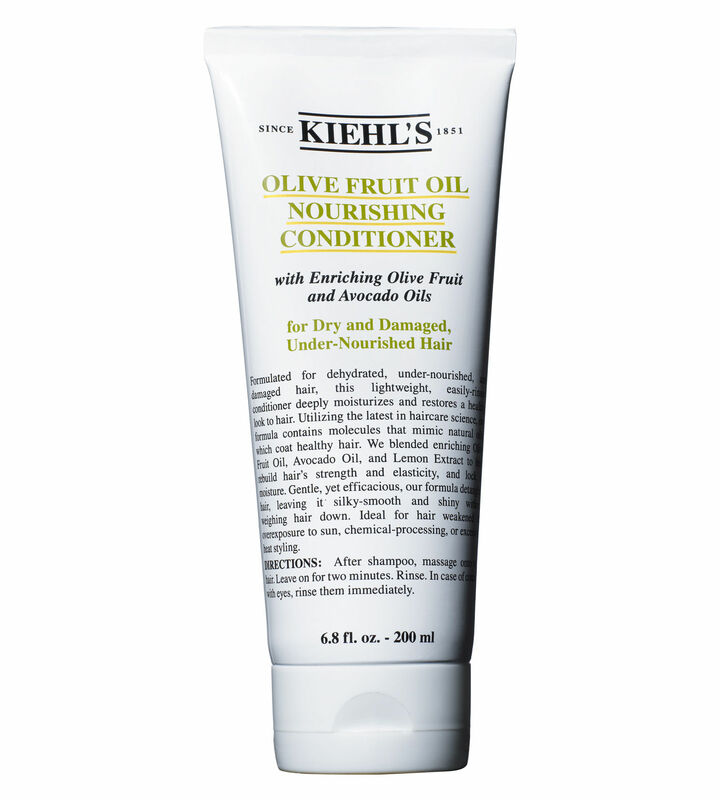 It moisturizes without leaving my hair greasy. Maybe it’s the argan oil. 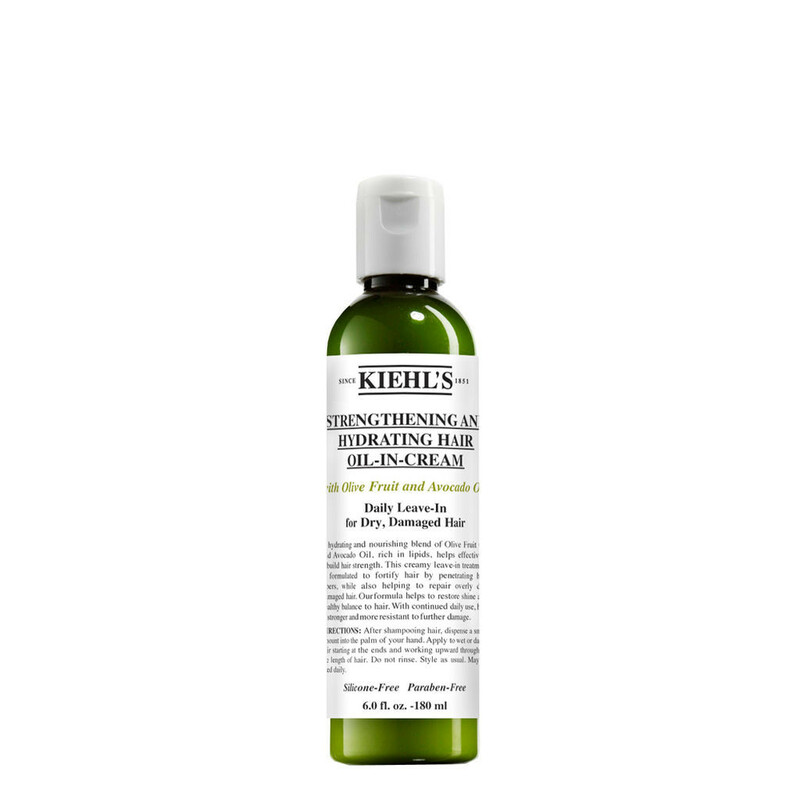 Moisturize part II: I then liberally apply Kiehl’s Strengthening and Hydrating Hair Oil-in-Cream while my hair is still wet. Again, I only use my fingers. I massage the cream in my hair, making sure I rub all the way to the ends. 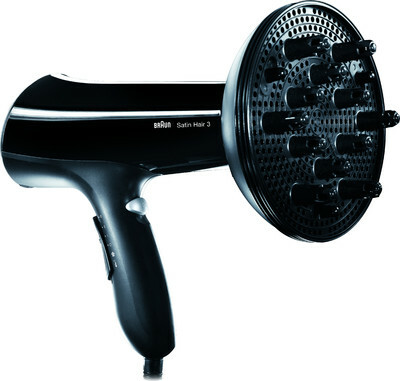 Lightly low dry: I either let my hair air dry or very, very lightly blow dry it with a diffuser attachment (I have the Braun pictured above). I leave it a tad damp when I blow dry. I never, ever, ever put hard heat on my hair anymore. After this, my hair is soft, shiny and has curl definition. Total time for all of this is about 30 minutes. Castor oil: It seems that a lot of afro wearers swear by shea butter. I can’t. Shea butter sits on top of my hair and makes it look ashy. The shea also dries my hair out for some reason. I just lightly apply castor oil on my hair and scalp before bed. Satin scarf: Cotton pillowcases dry my hair out and cause breakage. To combat this, I wear a satin scarf to bed every night. In the morning: I apply the Strengthening and Hydrating Hair Oil-in-Cream in my hair, then follow with a very, very light application of castor oil or I spritz with the Deeply Restorative Smoothing Hair Oil Concentrate then follow with castor oil if my hair needs moisture. 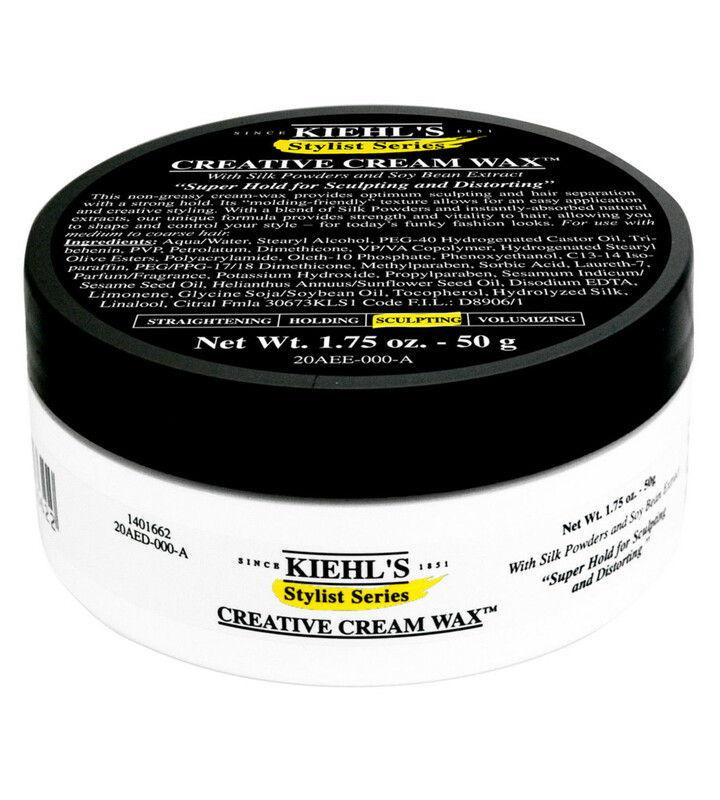 Every other day: For more definition, I rub a little of Kiehl’s Creative Cream Wax in the morning after applying the castor oil. My morning hair routine takes about five minutes. That’s it. I’ve found that the key for me is to leave my hair alone in terms of combing, brushing and blow drying. I don’t know my mom’s real hair color. I heard a rumor years ago that it was dark brown. Or maybe reddish brown. I think I saw a couple of gray strands a few years ago, during a brief, shining moment between her last touch up and a sale on Dark and Lovely Honey Blonde (#378 if you’re playing at home) at Wal Mart. I have early grayers on both sides of my family, so I wasn’t shocked when the little white hairs on my head turned into big patches – no – swaths during my 30s. I decided to forgo the dye and embrace the gray. Needless to say I’ve been on my follicular own for the most part, with most women my age around me rocking every hair color from deep black to fuchsia. No. Really. Fuchsia. 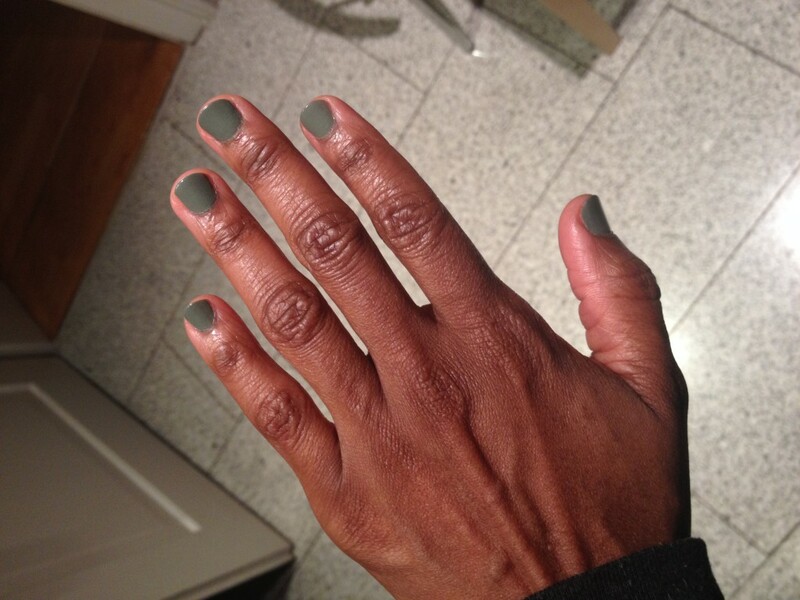 But rocking the gray doesn’t mean you’re heading for the rocking chair. Check out my five gray-haired icons below. Renee is an actress and model based in Atlanta. 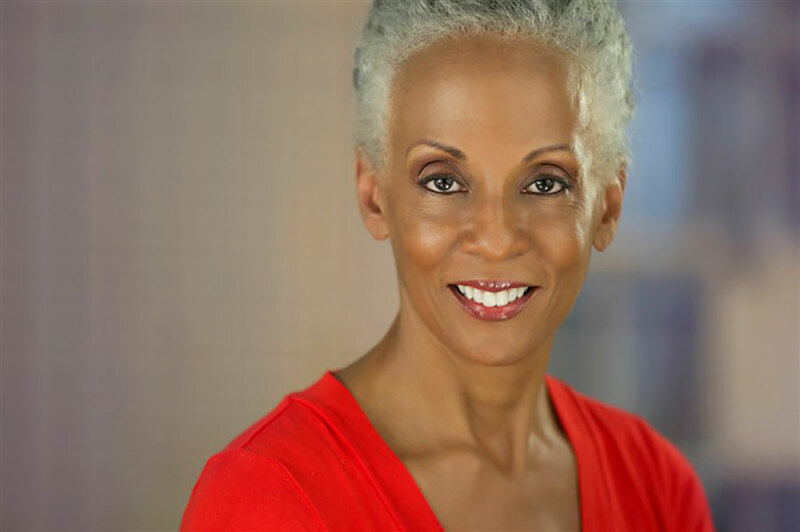 The 62-year-old started modeling when she was 40 and is a breast cancer survivor. And fabulous. The-Artist-Formerly-Known-As-A-News-Anchor caught my – and the internet’s – attention when she ‘dared’ to report the news sans dye. And she looked 15 million times better with the gray. Not too long after freeing herself from the throes of Clairol, she left her job at San Francisco’s KPIX to become an artist full time. Check out her work here. Her sculptures are amazing. Mitchell was a popular cover model in the 1960s. I’ll take a wild guess and say that she’s in her early-to-mid 60s now. This shot comes from a breathtakingly simple and elegant Sept 2013 Elle Deutschland spread. I discovered Catherine via a Top Shelf on Into the Gloss and she quickly became one of my top style idols. The senior VP for Coty’s claim to fame is starting the celebrity fragrance trend by signing a deal with Jennifer Lopez for Glow. 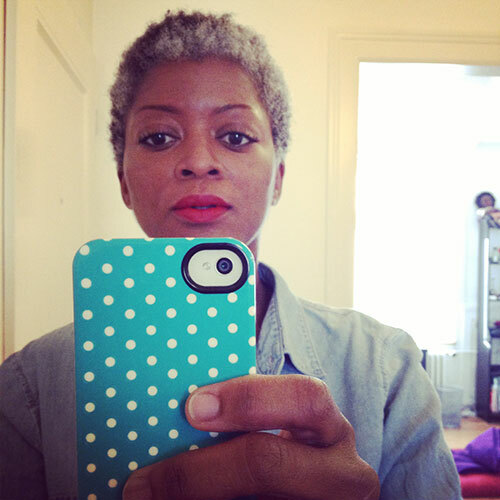 Red lipstick + gray hair = hot. I had to look twice when I saw this pic of Kristen. “THAT’s the supermodel?” According to an interview, Kristen stopped coloring her hair in 2004. 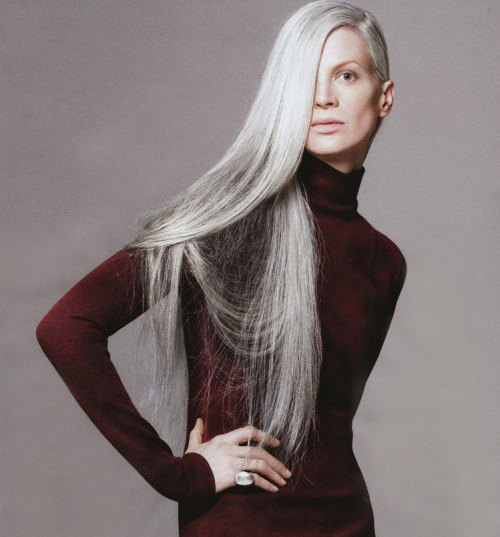 Not too many folks can wear gray hair long, but she pulls it off royally. Having killer cheekbones helps. :-) So those are my gray-haired icons. Tell me yours!